Even before the industrial revolution, London was plagued by poor air quality. The smoke and fumes from hundreds of tanneries and forges, together with the aroma of human waste dumped on the streets mingled in an unwholesome air. 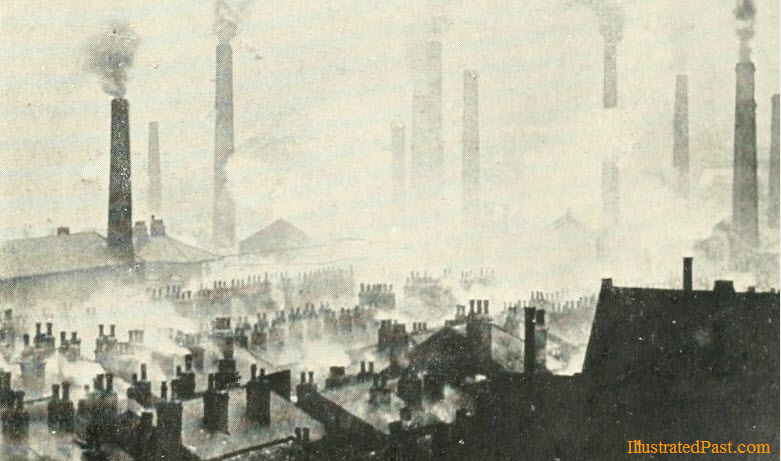 With the advent of the industrial revolution, smoke stacks began to dot the sky line, spewing thick unfiltered smoke and chemicals throughout the city. The smog was so severe that when the atmospheric conditions concentrated the thick soup rather than dispersing it, visibility was reduced to zero and people were known to have died in accidents or from actually suffocating from the smoke. This unhealthy situation continued well into the 1950s. 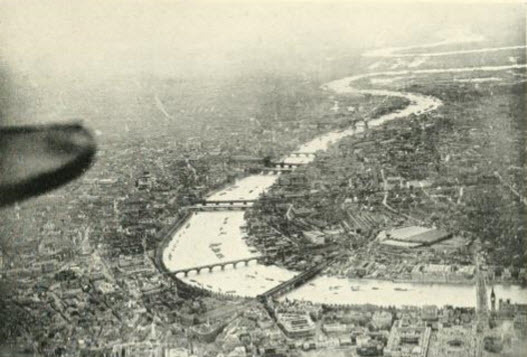 Below are two pictures taken during the 1920s that illustrate just how bad the smog and pollution problem was in London. This picture of London taken from an airplane shows the smog covering the city.